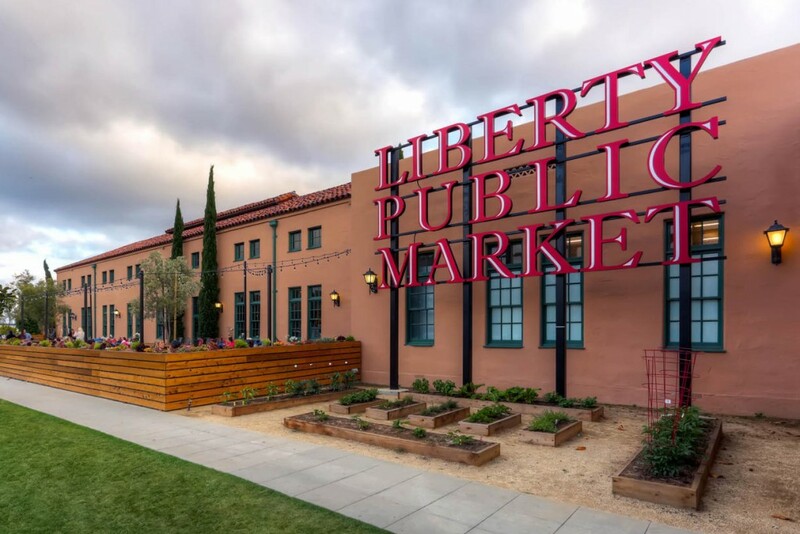 Liberty Public Market will be the second brick-and-mortar location for The WestBean Coffee Roasters, which has a cool cafe in downtown San Diego. It will serve a variety of coffees and cold brews made from imported beans it roasts at its Mission Gorge Road roastery. The public market menu includes salted caramel and mocha lattes, as well as cappuccinos and a variety of teas. Grape Smuggler will operate under the direction of industry heavyweight, and Blue Bridge Hospitality beverage director, Greg Majors (NYC: Tom Colicchio’s Craft Restaurant, Robert Bohr’s former CRU, Chef Marco Canora & Sommelier Paul Grieco’s former Insieme). The 800 square-foot concept will feature a revolving menu of by-the-glass offerings, daily tastings and flights. Major’s cellar will house approximately 5,000 bottles with 500 selections from all areas of the globe, and will give him an opportunity to pour some of the more interesting varietals that he acquires by producer, region or wine style. The wine shop also plans to tap into its surrounding market vendors to offer a changing menu of small plates. San Diego’s consummate beer expert, Brian Jensen will launch a third outpost of his famed Bottlecraft boutique beer shop and tasting room. The 1,000 square-foot space will center around a tasting bar that stars 24 rotating craft beers on draft and 500 bottles of the best and hard-to-find local, domestic and international craft beer.